Studio Trigger and A1 Pictures’ ongoing anime, Darling in the FranXX, is one of this year’s hottest anime series. It’s easy to see why; not only does it have awesome animation, it’s also one of the few entirely original animes, meaning it’s not adapted from a manga or a light novel. FranXX’s main heroine is also a big hit! Weebs from all over the world (including myself) have fallen in love with the pink-haired “partner killer” Zero Two. My newfound love for Zero Two had me wanting a figure of her, good thing Kotobukiya is coming out with a 1/7 scale Zero Two figure! Yes, this is what I need in my life right now. 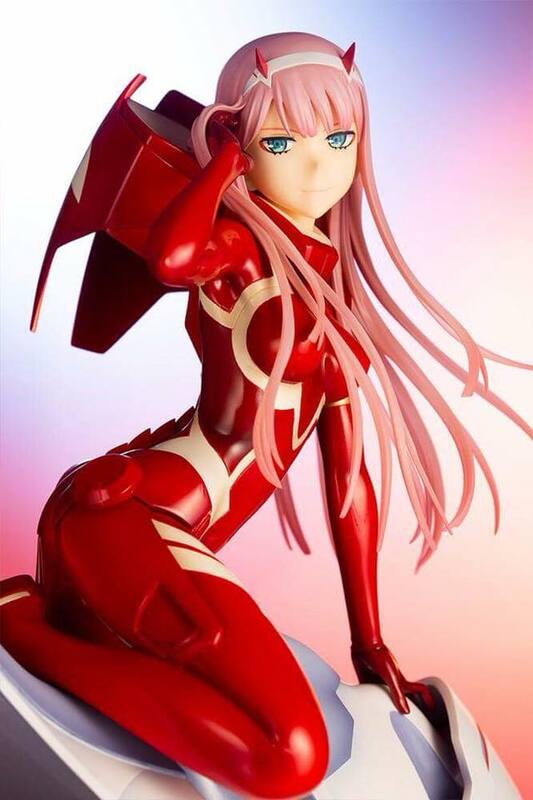 Kotobukiya’s figure features Zero Two in her red pilot suit as she’s about to mount her (and Hiro’s) mech, Strelizia. It’s one awesome figure, as it captures Zero Two’s look near perfectly. Here’s a few more pictures if you need more convincing (I know I don’t). The Kotobukiya Zero Two is available for pre-order now, though it will be released on November 2018. You can pre-order the figure in the Philippines at Hubbyte Toy Store here, and the figure has an SRP of PHP 5000. Previous articleDisney just bid $71.3 billion to acquire Fox!